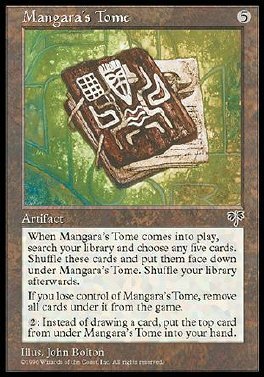 When Mangara's Tome comes into play, search your library for five cards. Remove those cards from the game face down, then shuffle them. Then shuffle your library. 2: The next time you would draw a card this turn, instead put the top card removed from the game with Mangara's Tome into its owner's hand.